Martin Chivers was a tall, powerful player during his time in professional English Soccer, and he now commands audiences with the same level of respect thanks to his fascinating tales from his years in the game. As a charity dinner guest, presenter or brand ambassador Martin is a fine choice with plenty of experience. Martin scored over 200 league goals and averaged a goal every other game for his country, yet he was unlucky to be in his prime at a time when England failed to qualify for the latter stages of the World Cup. Starting out with his hometown club, Chivers was just 17 years old when he signed for Southampton. Then, in the 1965-66 season, Southampton reached division one for the first time with 30 goals from the young Chivers contributing hugely. latterly he moved on to play for team such as Tottenham Hotspurs, who broke the British transfer record in paying £125,000 to bring the player to White Hart Lane. With the London side, Martin scored both Tottenham Hotspurs goals as they beat Aston Villa 2-0 to win the League Cup. Two years later, Spurs won the trophy again, while in 1972 European glory was claimed when a Martin Chivers’ brace helped defeat Wolves in an all-English UEFA Cup Final. 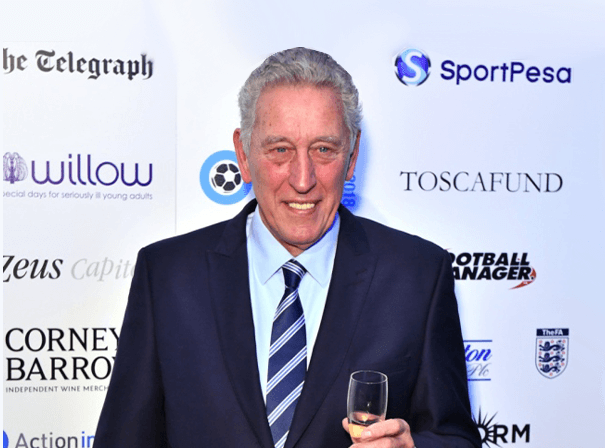 A high level player for many years, Martin Chivers is a real sporting star who adds a real sense of occasion to any event, ceremony of function he attends.